Cheap Olympic Plates / Bumper Plates / Olympic Bars / Kettle Bells / Dumbbells Gym Mats On Sale In Longwood! There are many options when it comes to purchasing gym equipment in Orlando, and we pride ourselves on being the #1 Source in Central Florida for commercial fitness equipment. At Buy & Sell Fitness we understand how difficult and overwhelming it can be when it comes in the purchase of fitness equipment let us assist you by giving you the best recommendations. We have a vast experience in helping our customers locally and around the world in opening their new business or expanding and or upgrading the ones they have. We help them visualize their dreams by creating 3D Layouts and giving them the experience of how their dreams will look with the equipment they want. Not only that we keep you updated on the progress of your equipment by providing you with personalized videos of your equipment. 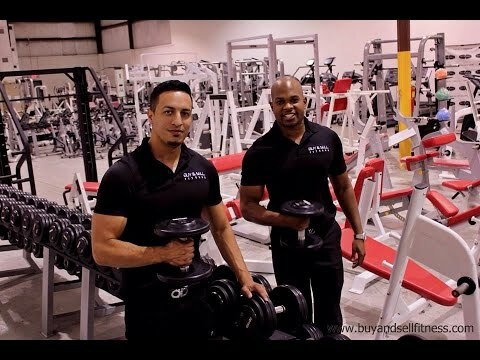 Buy & Sell Fitness started from a small living room growing in to a company with 15,000 sq ft filled with fitness equipment and ready to supply and cover all your needs in the fitness industry. We are a company large enough to provide you and supply you with the equipment you are looking for and small enough to provide you with the best customer service experience being there from start to finish and beyond that as well. The 770T Treadmill’s CardioTouch allows users to set a Time, Distance, or Calorie goal for their workout. Your members will enjoy reaching their personal fitness goals and Personal Trainers will appreciate being able to constantly set new goals for clients. Knows whether you are there or not and will stop the belt after the pre-selected waiting period helping to keep users safe. CYBEX LIFE FITNESS GYM CLOSING – SUPER VALUE PACKAGE!! Posted on July 4, 2017 in: Fitness Equipment Blog|Comments Off on CYBEX LIFE FITNESS GYM CLOSING – SUPER VALUE PACKAGE!! Get a GREAT DEAL on a gym that is closing!! Save 70% off USED pricing! Since equipment is sold at a DEEP discount – this is is sold AS IS – TESTED WORKING. No warranty is provided with these units. Questions? Call or Text (407) 923-8285 . AFTER HOURS IS OK!! 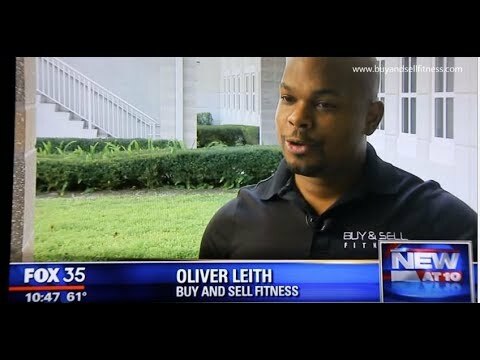 How Buy and Sell Fitness Helps! Posted on September 9, 2016 in: Fitness Equipment Blog|Comments Off on How Buy and Sell Fitness Helps! Buy and Sell Fitness helps new and current gym owners provide their customers with high quality, high functioning used commercial grade fitness equipment. As the fitness industry grows, so will the need for new fitness centers and gyms. Before opening a fitness center, it’s important to have a clear vision of what kind of facility and services you’d like to provide; whether it’s Pilates, spin classes, strength equipment, CrossFit or martial arts, these decisions have to be carefully considered. Studying the demographic data of your area may help you decide what kind of services your new clientele may respond best to, and after that, it’s time to calculate costs and to furnish your new location. Remember, often times, your members are coming to you to use commercial grade fitness equipment. It’s important for you to provide your customers with a stellar experience. Why else would they come back? You may spend up to $175,000 or more just on fitness equipment to furnish your location. The good news is that with Buy and Sell Fitness, we assist you in providing superior class service while saving over 70% on fitness equipment costs! Find outstanding gym packages to fit your budget. We inspect, service and clean every piece of equipment before it leaves our facility and ship both nationwide AND worldwide. We will lead you through all freight, customs and logistics needs. We will even provide you with high definition photographs and video of your equipment before it ships out. *Star Trac Instinct Chest Press/Shoulder Press Combo Multipress | $1199 | Free Shipping! *Star Trac Instinct Leg Extension/Leg Curl Combo | $1599 | Free Shipping! *Star Trac Instinct Tricep/Bicep Combo | $1399 | Free Shipping! And this piece is on sale now! Paramount 200a Functional Trainer | $2495 | Free Shipping! If you’d like to see our available gym packages click here. Call us to today to speak with an experience sales representative that can help you set up the gym or fitness center of your dreams!